After you leave the restful atmosphere of Mercure Istanbul Taksim Hotel, you can take a taxi or walk to Beyoglu, where you will find world famous Istiklal Street with many stores, cafés, restaurants, bars, and historical buildings. 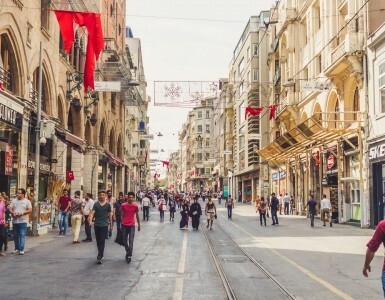 Beyoglu successfully combines past with present, and is perfect for walking and shopping. 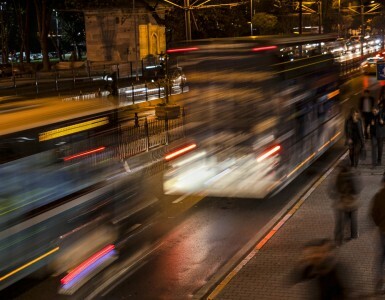 Besides walking, you can take the historical tram and travel along Istiklal Street. 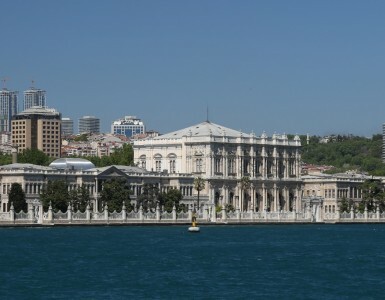 There are many sights to see in Beyoglu, such as Flower Passage, French Street, St. Antoine Church, Kamondo Stairs, Pera Museum, and General Consulates of France, Russia, Sweden, and other countries. You can also take panoramic photos of Istanbul at the Galata Tower, which is only a minute away from the Tunnel Square. The Tunnel connects Beyoglu to Karakoy. Mercure Istanbul Taksim Hotel is on Inonu Street, which leads to directly to Taksim Square and Istiklal Street. Neighborhoods, such as Kabatas, Tophane and Sishane are also easily accessible from Beyoglu.